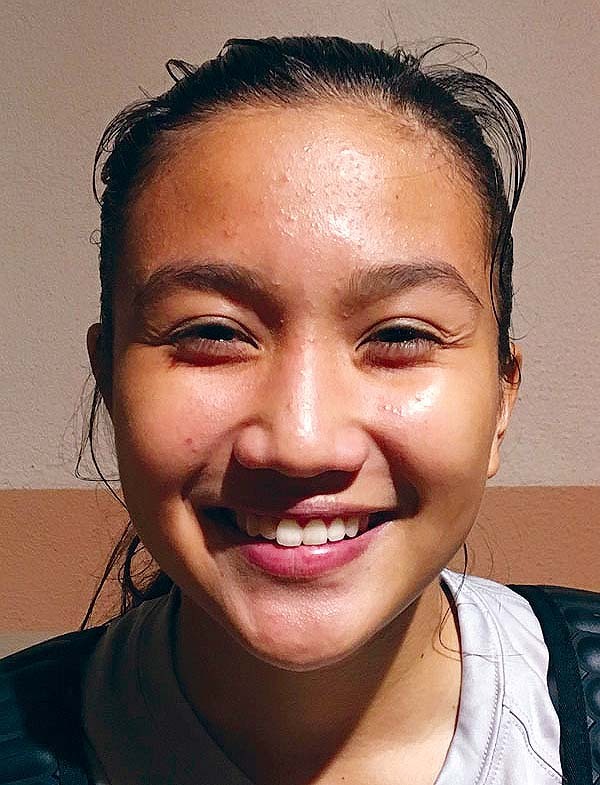 The Lahainaluna High School girls basketball team rode the career-high 32-point performance of Braeanna Estabillo to a 60-44 win over King Kekau­like on Wednesday night in a Maui Interscholastic league game in Lahaina. The Lunas improved to 4-0 with their second win over Na Alii (2-2) in five days — it was Lahainaluna’s 138th straight league victory, extending its all-sport MIL record. 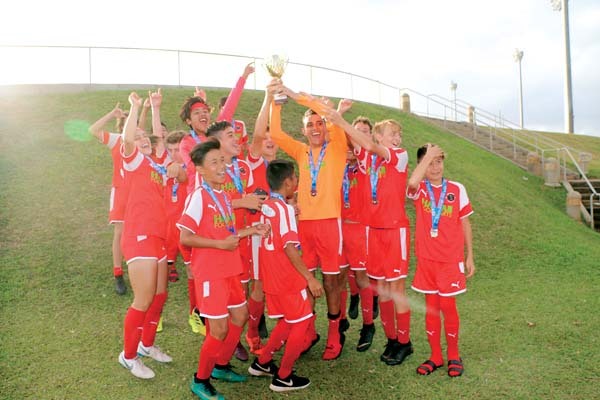 The streak will be extended Saturday — Maui High has announced it will forfeit to Lahainaluna. Estabillo scored 22 points in a 44-point win for the Lunas over Na Alii on Saturday. On Wednesday, she scored 17 first half points and finished the game with six 3-pointers. Liane Tomita scored 20 points to lead King Kekaulike, who trailed 13-10 at the end of the first quarter. At Wailuku, Kamaile Cugal’s 17 points helped Maui High earn its first win of the season. Nikilie Robinson added 13 points for the Sabers (1-2), who trailed 9-8 after the first quarter. Kylenna Rieta finished with nine points. Melissa Caliva scored 11 points for the Bears (0-3). Cailyn Ukida 0, Shaye Pua 0, Charlie Abreu 6, Liane Tomita 20, Namahana Kaeo-Young 2, Daeja Callo-DePonte 2, Temahh Shaw 8, Alia Ah You 0, Tanisha Valdez 2, Taysia Kahalekai 0, Kuulei Araneta 4. 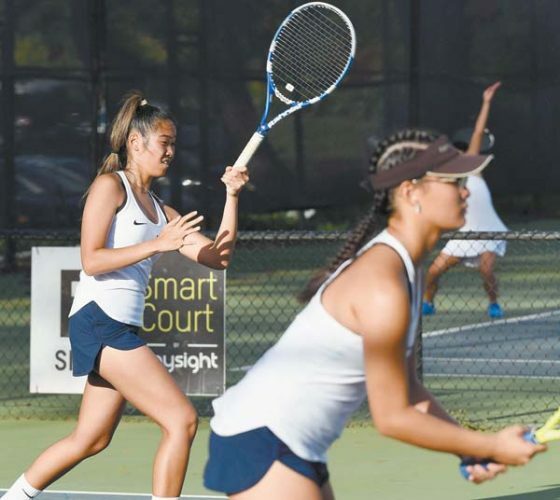 Teani Buenconsejo 0, Rachael Balagso 3, Braeanna Estabillo 32, Kayjan Pahukoa 3, Maalaea Kaneaiakala 0, Erin Hookano 5, Kreyajan Pahukoa 2, Abigail Akamine 0, Tcleen Pahukoa 0, Tori Tihada 2, Sheilaika Agbayani 2, Teani Rickard 2, Susitina Namoa 8, Ashley Akamine 1. Honey Let Padasdao 6, Brianna Guzman Kee-Chong 3, Kylenna Rieta 9, Nikilie Robinson 13, Neil Mae Bumanglag 6, Kamaile Cugal 17, Mayghen Thornton 0. Melissa Caliva 11, Deja Cala Nakamura 6, Taylor Manangan 4, Jacquie Agorilla 0, Deanelyn Tapaoan 3, Jennie Lopez 2. Lanai at Seabury Hall, 5:30 p.m.
Kamehameha Maui at Baldwin, 7 p.m.